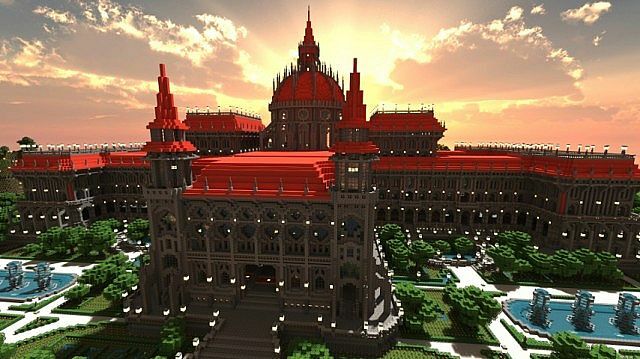 This Project is inspired by the hungarian parliament. 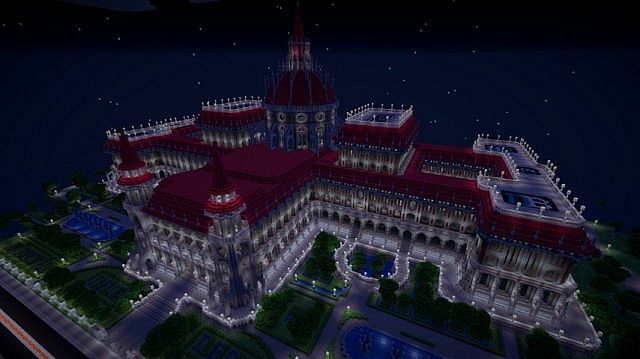 Its 350 blocks wide and 250 blocks deep, a bit larger than many other buildings. 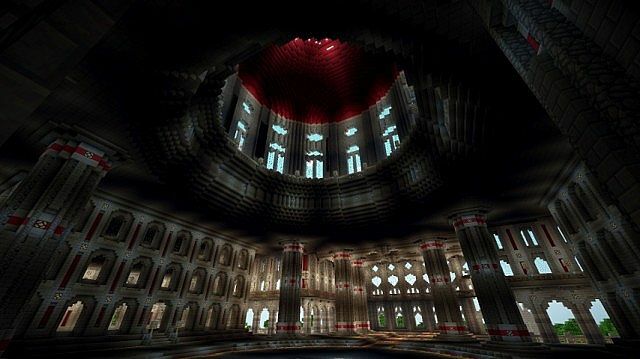 The dome of the building is the part where all building parts merge. The Building includes two courtyards, 7 stairways and 4 accessible roof terraces. 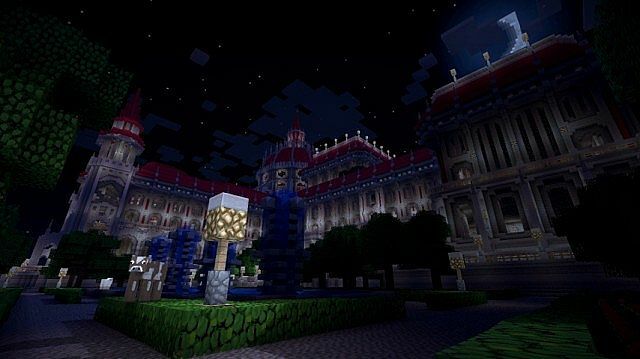 During the construction of more than 1,097 million blocks were required.